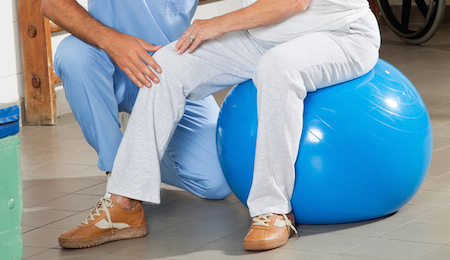 Occupational therapy is offered as a subservice of home health care and services. When seniors are under home health care, the doctors and nurses will evaluate whether or not they need occupational therapy treatment. Occupational therapy is a treatment that incorporates activity to promote participation in everyday life. Therapists will evaluate what difficulties a person might have in regards of everyday living. These difficulties can interfere with their independence and prevent them from doing every tasks. Occupational therapy can help people with many different difficulties and disabilities to learn how to mitigate their distress. Therapists assess the patient’s cognitive and behavioral status to address any personal or physical inabilities. As your loved ones get older, their daily activities and tasks get harder. They cannot move around as easily and what was once an easy task for them could now be a challenge. Occupational therapy helps them learn how to stay independent and take care of themselves in new ways. It also helps those affected with illness, mental health conditions, disability, and accidents. We assist our patients to adapt their daily living to their physical conditions. To learn more about occupational therapy and how to get started, call Self-Help for the Elderly today.